J. 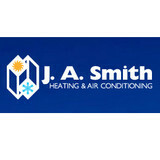 A. Smith is a full service heating, air conditioning, ventilation, and refrigeration contracting company located in Warminster, Pennsylvania. We design, install, maintain, and repair systems in the Delaware Valley area (metropolitan Philadelphia). Fully licensed and insured, we are dedicated to the service of our customers and the preservation of the environment. A full service HVAC company that listens to what their customers want and delivers creative approaches to achieving comfort while keeping the budget in mind. At C.R.T. 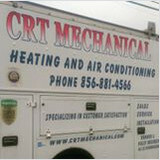 Mechanical Heating & Air Conditioning in Clayton, New Jersey, we specialize in exceptional customer service and superior workmanship at competitive rates. We work with mostly residential home heating and air-conditioning system installation with free, no-risk estimates available. We offer a myriad of products including high-efficiency furnaces, high-efficient air conditioning, humidifiers, and electronic air cleaners. We also install heat pumps with a 13 seer minimum and air-conditioning systems with 13 to 18 seer efficiency ratings. From top name brands to guaranteed satisfaction, we are here to serve you. Contact us for more information. Working for You: Our small family-owned and operated enterprise offers prices lower than the competition and HVAC services that we guarantee. We are fully insured with 12 years of experience and travel throughout central and south Jersey. We utilize top name brands for our home HVAC systems, including Goodman and York. Our brands for our thermostats, UV lights, and electronic air cleaners include Honeywell. From exhaust fan ducting to stove vents, we can take care of your HVAC service needs. Call us today! We are a 50 year old family business serving Delaware, Montgomery, Chester and Philadelphia Counties in plumbing, heating, air conditioning and drain cleaning with the highest rated levels of expertise. Our services include Plumbing, Heating & Cooling service, repair, installations and conversions, bathroom remodeling, sewer, pipe and drain repair and installation, service plans, and 24-hour emergency service. We create the standards for excellent service by delivering to our customers the highest levels of service in a courteous and professional manner. Our technicians are highly trained in all aspects of the current cutting edge technology. When you need to replace or repair your home’s or business’s heating, cooling, plumbing or water conditioning systems, you need professional service fast. A family-owned company, Haldeman Mechanical has been proud to serve Manheim, PA and the surrounding communities for three generations. We offer sales of major brands such as Rheem, Kohler and Moen as well as 24-hour emergency service of all brands by our experienced service technicians and plumbers. We’ve been providing professional HVAC and plumbing installation and repair since 1939. We offer preventive maintenance plans at three service levels to fit your budget and keep your systems running at peak efficiency. Preventive maintenance can extend the life of your heating, air conditioning, plumbing and water conditioning systems and can save you money on repairs. We offer installation of new heating, air conditioning, plumbing and water conditioning systems for new construction as well as additions and remodeling projects. We only charge for the time and materials required to complete the work, and you won’t get an invoice from us until you’re completely satisfied. Call us today at (717) 665-6910 to schedule a service call or receive a free quote. A family owned and operated business, All Seasons Comfort Control started in 2002 when Jeff Long and his son Chris joined forces to share their knowledge, skill, and expertise. All Seasons Comfort Control was founded on the concept that as a family business, we would treat our customers as family and their best interest will always comes first. We decided then that we will only offer the highest level of quality products and services. We wanted to be different- we wanted to be the company you can trust for honest answers, fair pricing, quality workmanship, and friendly service. We are proud to say that these core principles have not changed. Based in Bucks County, Pennsylvania, Jeff, Chris and the rest of the All Seasons HVAC team work hard to provide the best heating, air conditioning, plumbing, and gas fireplace service the region has to offer. As a result of our high standards and customer-oriented efforts, All Seasons proudly has a 99% Satisfaction Rate which has led to continually being awarded Customer Care™ Dealer status by American Standard, a distinction given to only the very best heating and air conditioning professionals in the industry. In recognition of our dedication to customer service we have also been awarded the Angie’s List Super Service Award, the “Best of” award, the “Top Rated” award, and the “Elite Service” award by Home Advisor as well as voted the best HVAC Contractor in Bucks County multiple years in a row by the “Bucks Happening List”. We are very proud to have received these awards and others and dedicate ourselves everyday to continue to offer unmatched customer service. We are a local family owned HVACR company that serves the community. We speacialize in Heating and air conditioning system repairs, replacements, second opinions, as well as plumbing and water heaters. No job to small or big! 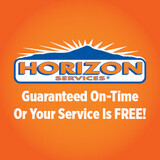 We show up on time and don’t except payment until the customer is satisfied. We promise that you will call back! 20 years in the hvac service and installation business. I take pride in what I do and am constantly getting training with the industry and y changes in equipment. Stellitano Heating and Air Conditioning Inc. is a full service provider of heating and air conditioning products. Our company services all makes and models of heating and air conditioning equipment and is a Bryant Factory Authorized Dealer for Bryant equipment. We are a Mitsubishi Diamond Dealer for ductless systems as well. Stellitano HVAC, Inc. has been serving the central New Jersey area since 1995. 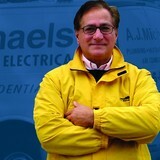 Gary Stellitano has more than 20 years of experience in the HVAC field. He has been certified by the North American Technician of Excellence, the leading certification program for heating, ventilation and air conditioning. Additionally, he has been certified by the B.P.I as a certified Envelope Professional and Building Analyst Professional. He is committed to prompt, quality, service whether it be a service call for repair, maintenance, or an entire home installation. Small local HVAC company providing quality work at a fair price. We do residential and commercial HVAC service and installations in Lancaster county. We let our work and reputation sell our jobs, not a professional sales person. Sila Heating & Air Conditioning is a recognized leader and pioneer in the installation of high velocity air conditioning. These systems, designed for older homes with radiators or baseboards, deliver cool air through 2″ flexible tubing that prevents architectural disruption and the need to remodel. The high velocity air conditioning unit takes up less space than a traditional unit, and can be adapted to any home design. Finally, no one in the industry has more experience designing and installing high velocity systems. What do HVAC contractors do? “HVAC” stands for “heating, ventilation and air conditioning.” An HVAC technician or contractor specializes in heating systems, air duct cleaning and repairs, insulation and air conditioning for your Downingtown, PA home and other homes. Generally, Downingtown HVAC contractors or HVAC technicians work with or run companies that repair or install heating systems and air conditioning units for homes. But they have specialized services too. For example, if you are a wine collector and you are thinking of installing a wine cellar in your Downingtown, PA home, you might hire a Pennsylvania HVAC professional who specializes in refrigeration work. HVAC professionals can use their skills to help you to save money on your Downingtown, PA home’s energy bills by installing radiant barriers in your attic or split-zone heating and cooling systems to heat rooms like solariums while cooling upstairs bedrooms during warmer temperatures. If you or a family member suffers from allergies, you’ll want to find a Pennsylvania HVAC technician who is knowledgeable about the latest cooling and heating products that include antiallergen filters. Contractors who work in the HVAC industry keep up on the latest in heating and air conditioning technology so outdated or troublesome systems can be retrofitted with newer, more energy-efficient models. Some of these professionals may work with your contractor, builder or other home improvement professional to get the job done. Find HVAC contractors on Houzz. Look in the Professionals section of our website and search for Pennsylvania HVAC contractors. Read reviews and see how an HVAC contractor might approach your Downingtown, PA home’s heating and cooling challenges.